Being involved in the Duchenne Muscular Dystrophy (DMD) community has opened up my world to the challenges of living with genetic conditions. My original inspiration for getting involved came from my friend Jett, who is living with this rare neuromuscular condition. For many of you, this condition is something new. DMD affects about 1 in every 3,500 male births. It causes weakness of the muscles, typically resulting in the use of a wheelchair during the teen years, and can limit survival to the mid-20s. Boys with DMD rarely live to see their 21st birthday. 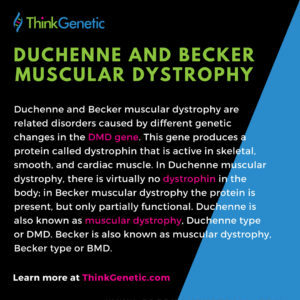 Duchenne is caused by changes in the DMD gene, which contains the instructions for the dystrophin protein. This important protein keeps muscles together, strong, and working.Without dystrophin, damage and deterioration of the muscles worsens over time, which is why this is a “progressive” disease. The worst part? There is no cure. In 2017, I had the opportunity to take a summer internship at the nonprofit foundation started by Jett’s parents, called the Jett Foundation. The mission of this 501(C)3 is to “increase worldwide awareness of Duchenne Muscular Dystrophy with the purpose of raising and appropriating funds for research that will realize a cure for this fatal disease, and programming that will ensure children with Duchenne have the opportunity to enjoy a full life.” I wasn’t sure what to expect. 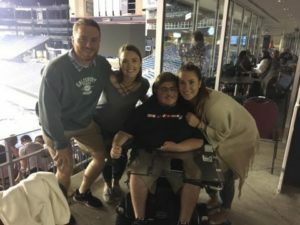 While gaining hands-on experience, I felt like I was helping spread awareness about Jett’s disease — which may some day lead to a cure for my friend and the approximately 15,000 patients diagnosed with Duchenne who are alive today in the United States. Soon, summer became fall and a friend showed me a post for a new internship at ThinkGenetic. It was my senior year of college. I felt I had to expand my interest in the world of genomics. 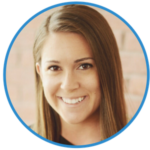 When I started working at ThinkGenetic, I was shocked to learn that there are so many genetic diseases. As a business student at Saint Michael’s College, I had little education in biology, medicine or genetics. My intrigue in the world of genetic diseases and those who live it everyday continued to grow. 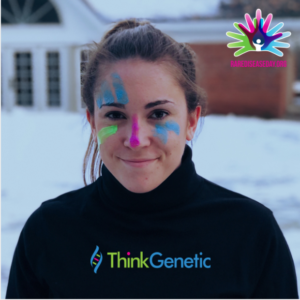 Interning at ThinkGenetic showed me the ins and outs of genetic conditions from a patient’s standpoint and helped me understand the joy and challenges of growing a startup business. ThinkGenetic locates and educates individuals with diagnosed and undiagnosed genetic diseases using Artificial Intelligence (AI). I helped the team by working with genetic counselors to obtain trustworthy information that would help guide patients through social media to the help they needed, faster. My favorite part of my internship was working on the Genetic Disease Awareness Campaign! Through this campaign, I learned about rare diseases and posted about them so the ThinkGenetic audience could learn about them too. 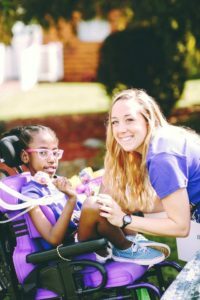 The more I learned about the millions living with genetic conditions over the past eight months, the more I realized there was a need for awareness around the the world. There are over 7,000 genetic conditions! Seth Godin has a saying that really spoke to me when I felt overwhelmed by all the need… “Before you promise to change the world, it makes sense to do the hard work of changing your neighborhood.” Given my personal relationships, I now feel an even stronger desire to advocate for those living with Duchenne and learn what it means to have this disease. People with DMD can go to college, have careers, and get married if they want to. “My brother Tanner? He’s a genius,” Danielle said. “He’s brilliant. He is so consumed with facts and he’s taught me a lot. I love going to adaptive summer camp with my brother because I love watching him get on stage and do the talent show. He would join more activities if he could.” Danielle advocates for her brother so he can experience some of the opportunities that she has. Mothers are my biggest inspirations in this community. I met Tammy Henegar at her home in Ohio when I cycled from Minnesota to New Jersey for charity in 2012. 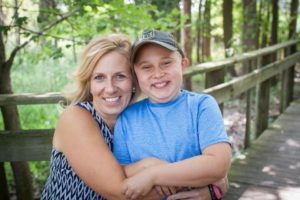 Her son, Braedan, has Duchenne, so she started a foundation in his name. There are many organizations for DMD that provide support, information, advice, referrals to physicians and medical centers, and up-to-date information on research and treatments. One of them is ThinkGenetic Advocacy Partner Parent Project Muscular Dystrophy, a nonprofit organization whose mission is to accelerate research for Duchenne therapies, impact policies and demand optimal care for affected families. Although there are countless challenges that go along with having a genetic condition, Jett and the friends that I have made through the organizations I am involved with have shown me that is important to continue to spread awareness and have hope for a better future for rare diseases. Since the FDA approved the medication EXONDYS 51™ (eteplirsen) in 2016 — the first drug they’ve ever approved to treat DMD — the community and I are also hopeful for a longer life expectancy for those living with this genetic disease. Great job, Courtney! I loved getting to you know you over the last 8 months and look forward to seeing how you continue to advocate for your friend and the millions around the world with genetic conditions!